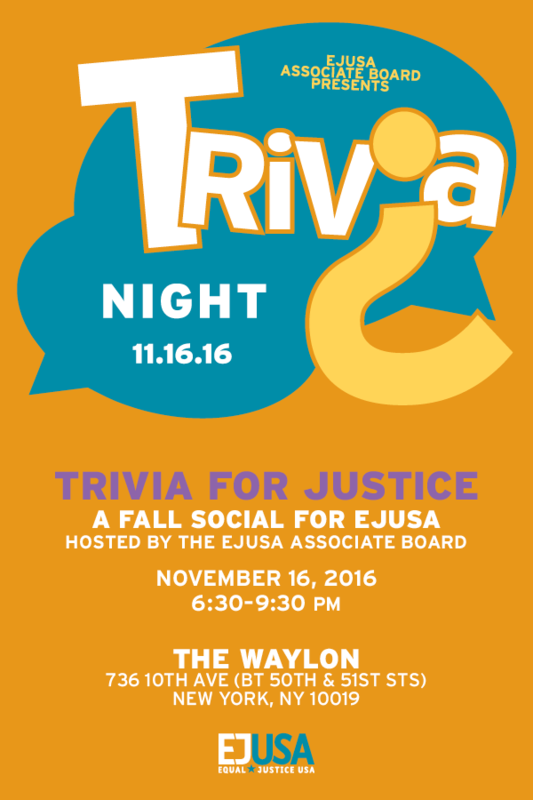 After the success of their first, the EJUSA Associate Board is hosting another “Trivia Night for Justice”! Join them next Wednesday, November 16 in support of healing our broken justice system. They’ll be at the Waylon in Hell’s Kitchen and will also launch their end-of-year fundraising campaign. Hope you can make it!